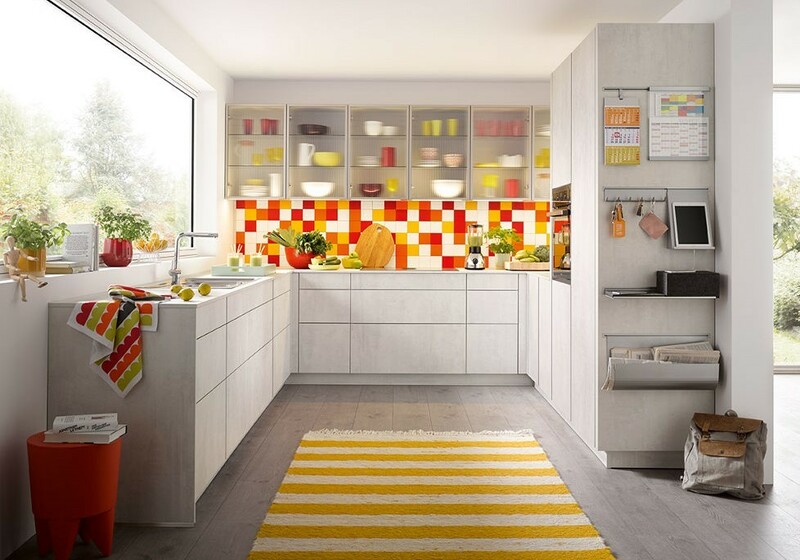 Strong colours in the kitchen are a must for 2019. 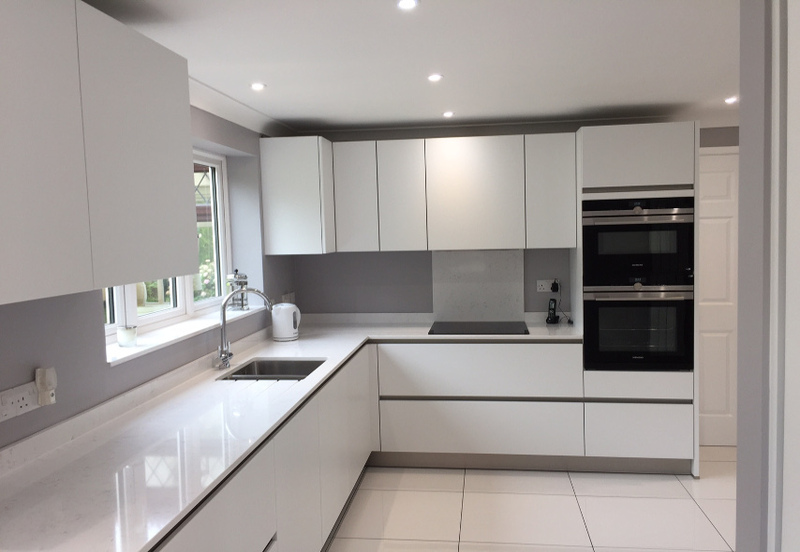 Until recently most people have incorporated colour in the kitchen through tiles, splashbacks or walls, with the units themselves remaining neutral. But things have changed. These days, your cupboards don’t have to fade into the background. Whether you’re looking for deep greens, gorgeous blues, fiery reds, bright yellows, dark greys or beautiful browns, today’s statement kitchen colours will brighten up your home perfectly. Even if you prefer to go for whites, greys or browns, these neutral colours can still make a strong statement that will lift the room, particularly when combined with the latest textures and finishes. 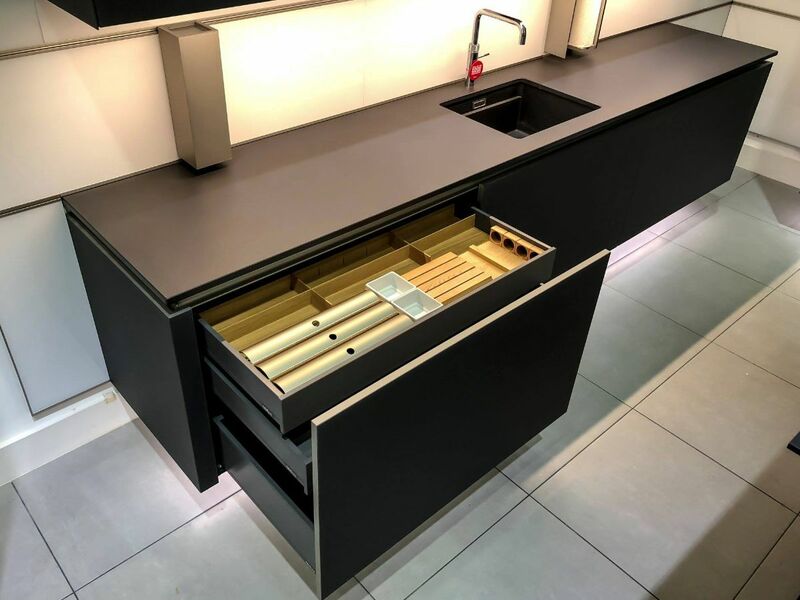 Schüller kitchens already come in an array of strong colours, but 12 stunning new colours and finishes have just been introduced for its highly popular C Range in 2019. Schüller’s C Range represents incredible value for money – it’s beautiful, well made and very hard wearing, yet comes in at around the same price as well-known brands sold through DIY stores. 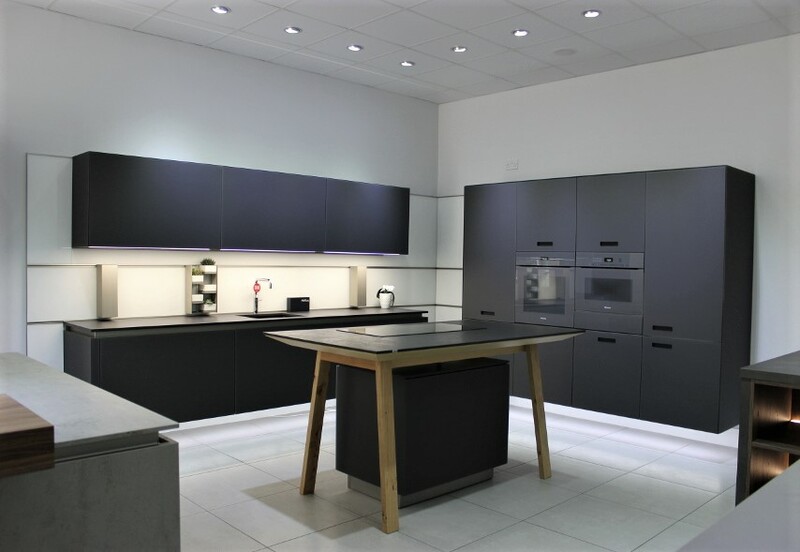 So, you need to ask yourself, why buy a Magnet or Wren kitchen when you can have a higher quality German Schüller C Range kitchen for a similar price? This ultra-modern white/grey laminate door will brighten up your kitchen, giving it a fresh feel. And, as it’s in price group 1, is exceptional value for money. This kitchen is shown above. 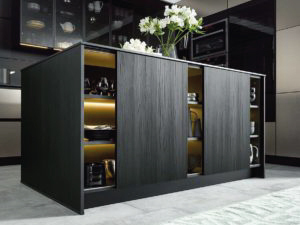 Another stunning choice in the new range of finishes for 2019. A fingerprint resistant surface means less time cleaning and more time for yourself! 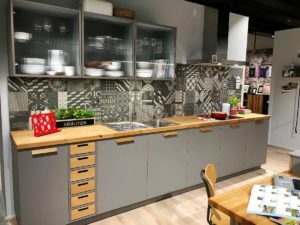 If you would like to see the new colours and finishes for yourself, visit our North London showroom where you can also speak to one of our expert advisers about design and price.